An illustration from Cornell University scientists demonstrates how they have have created an invisibility technique that doesn’t just cloak an object, but masks an entire event. It works by briefly bending the speed of light around an event. 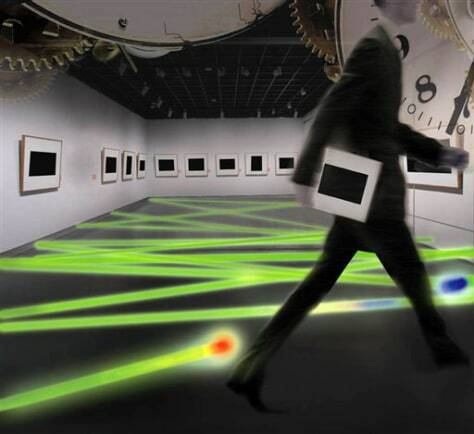 Scientists show in this 2011 illustration that if the cloak is ever scaled up, an art thief can walk into a museum and steal a painting without setting off laser beam alarms or even showing up on surveillance cameras or your eyes.